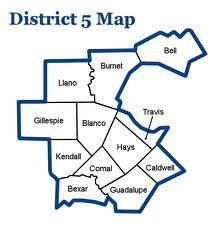 Reelect Ken Mercer SBOE District 5 Must Win - Vote Charlie Garza District 1 - Action Required! Hispanics in Texas Social Studies Standards! LIES, LIES, LIES! A TV Ad filled with desperate lies about SBOE Ken Mercer conservative member District 5 days before the November 2 election. Mercer is a project manager for USAA a financial giant serving approximately 7.7 million members throughout the world. Rebecca Bell-Metereau is fighting the only way Socialists/Democrats know how to, by LYING! What else can a Socialist/Democrat girl do? Does she tell you she is a Liberal Professor infecting our youth with her political agenda? Does she tell you who she chums with? Does she tell you who has endorsed her? Does she tell you about the book she authored? See for yourself who she is pictured with: Organizing for America candidate Lainey Melnick who helped Obama get elected. These Socialist/Democrat women support the likes of incumbent Lloyd Doggett who failed to see the importance of the children of Texas with his Doggett amendment. Bell-Metereau is proud of her ‘Progressive’ endorsements and is not hiding from them. The liberal news papers know what she stands for and that is why she has their backing, they see eye to eye. The lesbian and gay political caucus certainly knows how she relates to their homosexual agenda. And of course how can a Socialist/Democrat who screams of being ‘progressive’ not be endorsed by the progressive democrats? Bell-Metereau is a professor of English and Film and directs the Media Studies Minor at Texas State University in San Marcos. You might think that with all the different subjects in film she could have chosen, she decides on female and male impersonation to write about. She writes in her book, “Role reversal and cross-dressing in films follow peaks that correspond to periods of greater experimentation in the society at large”. She goes on to write, “When censorships were lifted, previously covert connections between female impersonation and homosexuality suddenly became overt, populating the screen with all the varieties of impersonators that exist in real life.” What she is alluding to is the “real life” situations. We all know that promotion of perversion by filmmakers is the name of the game. This promotion has exploded into our schools and will continue unless we take a stand and bring conservative values back to the class room. 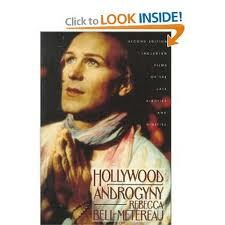 Read the six page Overview of Hollywood Androgyny by Bell-Metereau and you get a pretty good view of how she thinks. You can also understand just how well she fits into Obama’s agenda and how she is a perfect fit with Kevin Jennings the Safe School Czar and what direction our school system will take. Obama is the first president in history to appoint so many openly gay and lesbian officials to the administration. Who is the real Obama? 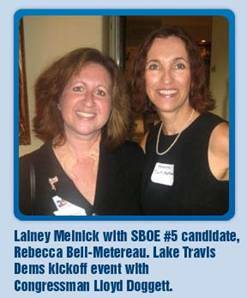 We must not lose this race in District 5 because if we do, children and their parents will relinquish their voices to the Socialist/Democrat VOICE OF OBAMA and his pal Rebecca Bell-Metereau. Bandera, Brewster, Crane, Crockett, Culberson, Dimmit, Edwards, El Paso, Hudspeth, Irion, Jeff Davis, Jim Hogg, Kerr, Kimble, Kinney, La Salle, Loving, Mason, Maverick, Menard, Midland, Pecos, Presidio, Reagan, Real, Reeves, Schleicher, Starr, Sutton, Terrell, Upton, Uvalde, Val Verde, Ward, Webb, Winkler, Zapata, and Zavala.